Several years ago, James Prosek (artist/writer), Fritz Mitchell (producer/editor) and Peter Franchella (cinematographer) produced a film documenting Prosek’s travels in the footsteps of the 17th century English writer, Izaak Walton—“research” for his senior thesis at Yale. The film focuses on Walton’s book, The Compleat Angler, a book that many have heard of but few have read. 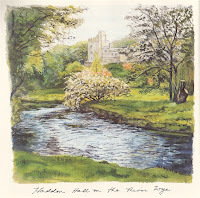 Through Ireland and England, Prosek fishes the same rivers and streams that Walton had. He discovers the art of “dapping,” a method of fly-fishing still practiced now, as it was 350 years ago in Walton’s day. He fishes streams flowing under and around London—spring-fed tributaries of the Thames once central to water meadows, but now surrounded by parking lots and high-rise apartment buildings. And he makes his way into the world of private river-ways, fished by the upper-class who own the land through which the rivers flow. He fishes with English gentry, guides and boatmen, discovering a common bond among anglers that erases social barriers. Izaak Walton was a simple tailor whose genial nature won him the company of kings. Walton was a proto-conservationist who advocated for the pastoral simplicity that the countryside offered. He wrote the Compleat Angler in the mid-1600s during the English Civil War when different Christian denominations were vying for power in London. 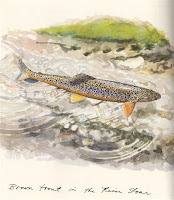 Through the course of the book, Walton instructs his fishing companion not only in the technical aspects of hooking, cleaning and preparing trout, chub, pike and eels, but in finding spiritual sustenance in the forest, meadow, and on the stream. Way Upstream now brings you the video mini-series of the original, Peabody Award winning film - The Complete Angler. The mini series will be composed of the seven individual segments that make up the film. Here’s chapter one, where you'll see James leaving Connecticut for Ireland and England, catching a few trout in his home streams and musing about his youth, fishing, and some Waltonian ideals. He visits the library at Yale and examines a first edition of Walton’s Compleat Angler from 1653. 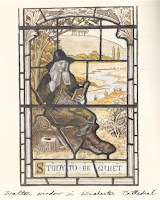 Then he sits for a reading of W. B. Yeat’s poem, The Song of Wandering Aengus, by Harold Bloom. Fishing teaches perseverance … to succeed as a fisher, wether of kingly salmon or the diminutive gudgeon, an ardor is necessary which is not damped by repeated want of success; and he who is hopeless because he has no sport at first will never fully appreciate fishing. So too, the tyro, who catches the line in a rock, or twists it is an apparently inexplicable manner in a tree, soon finds that steady patience will set him free far sooner than impetuous vigor or truthless strength ... All this exercises a softening influence on his character. Read the works of those who wrote on fishing—Serope; Walton, Davy, as instances. Is there not a very gentle spirit breathing through them?